Sailun Atrezzo SVR LX tyres are high performance options that can be used all year long. No matter what journey you have in mind, you’ll find these options to be the best choice to give you the highest levels of performance, comfort and safety every time. All season tyres handle all weather conditions well, giving you the confidence to get the most out of your driving and with great levels of traction and stability from SVR LX tyres you’ll always make it to your destination. 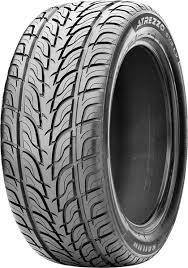 Choose Sailun Atrezzo SVR LX tyres now for the best performance.